Showing recent results 4276 - 4290 of 4490 products found. 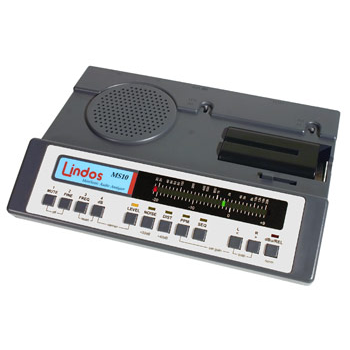 The MiniSonic MS1/MS10 Audio Analyser/Studio Aid is a complete, hand held, two-channel analogue audio test set that measures frequency, frequency response, phase, level, noise, distortion, crosstalk, speed and path latency (delay).As well as being a quality tester it's a precision line-up tool, a stereo PPM, a balanced-unbalanced convertor (both ways),a stereo mic preamp, a headphone amp, and a level convertor. Keeping with our goal of constant improvement, we have upgraded our BK3011 MEMS mic tester! The BK3011C is more modular, easier to connect and with the new Test Shop upgrade, easier to use. But the basic features are still the same. Then BK3011C enables you to check mic characteristices over a frequency range using a stable, constant SPL sweep. It still produces both graphs and numerical data but now will automatically classify both PASSing and FAILing DUT's so you can keep track of quality issues and trends. 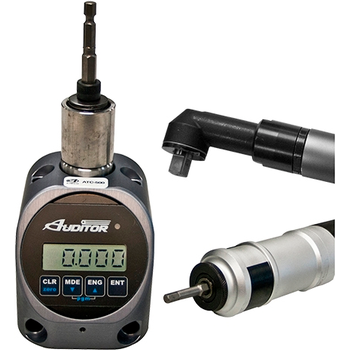 The Auditor Torque Cube (ATC) is a compact, versatile desktop tester and provides a multitude of capabilities. 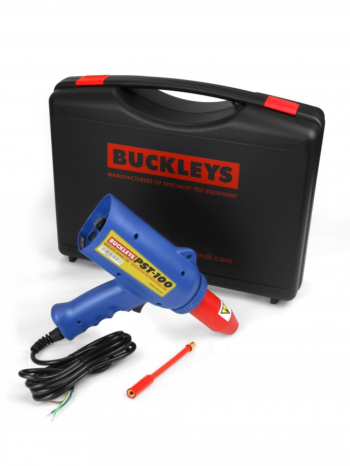 The ATC is designed to test hand or power tools with the following: Peak, first peak and track modes. Multiple engineering units. Manual and auto clear function. Multiple frequency response settings. Bi-directional use and accuracy. Accuracy is better than 1% of indicated reading top 90% of range. Serial data output. Memory 999 data samples. Battery and/or mains powered. MegaTrace - Robson Technologies, Inc. This system picks up where the MultiTrace leaves off. Starting at 648 pins and going all the way to 2160 pins, the MegaTrace has enough pins to test just about any device. Now in a rolling, stand alone cart form, the tester is easy to move around and use with other instruments like emission microscopes, probe stations, and other remote testing requirements. Portable 100 volt LED megohm tester with two parellel probes and two banana jacks for optional 5lbs weights. a 10 light Surface Resistivity Meter that test at 100 volts. 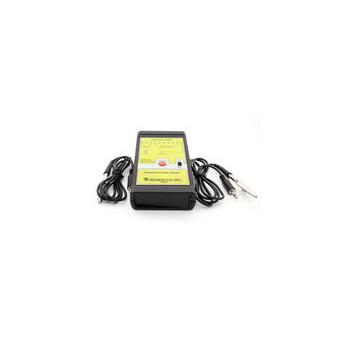 This portable test instrument provides both RTT (resistance top to top) and RTG (resistance top to ground) will measure a wide variety of static dissipative and conductive materials. The Ultra-Max Plus Kit is the premier battery testing kit for NERC compliance for Vented Lead Acid (VLA) and Nickel-Cadmium (NiCad) batteries. 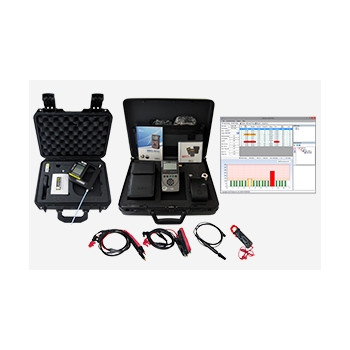 The Ultra-Max Plus kit has three parts: an IBEX-Ultra Portable Ohmic Battery Tester, SG-Ultra Max Digital Hydrometer, and Battery Management Software for all-in-one trending and NERC-required documentation. Learn battery health in seconds. This test system takes advantage of new measurement technology and instrument capabilities can provide significant improvements over current tester systems. 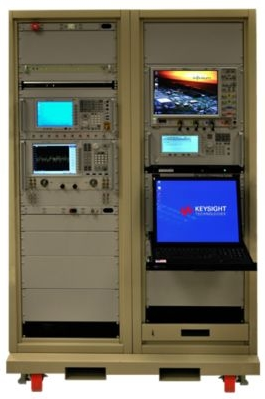 Payload RF test can now be done faster and with more accurate and repeatable results. 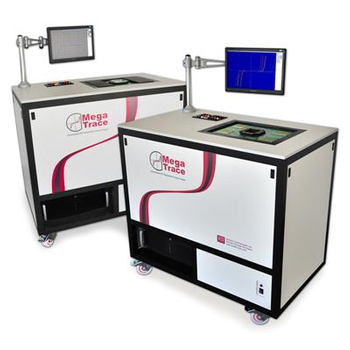 The basic system supports significant measurement capability. Options allow additional measurements, RF calibration verification capability and turn key test software. 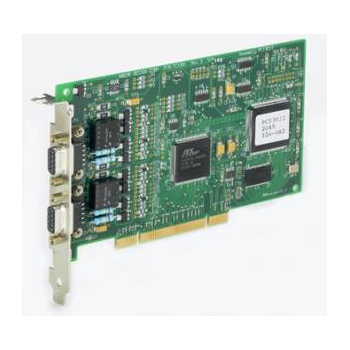 PCI301 - Andor Design Corp.
MIL-STD-1553 A, B & McAir MULTI PROTOCOLS Simulator/Analyzer/Tester PCI BUS Interface Card - The PCI301 can be used for Validation Testing, Production Testing, full bus simulation and monitoring, as a general purpose 1553 interface or a stand alone bus Analyzer. For precise message scheduling and measurements, the Major and minor frame times are independent of message sequences or retransmissions on errors and the start of all command messages are independent of message length, response time or length of response. Message timing is calibrated and RT responses have low jitter. 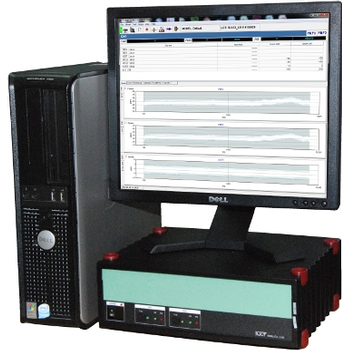 The N4917B software provides an automated standard compliant stressed receiver sensitivity test according to 100GBASE-LR4, ER4 and SR4 test specification. In order to do this kind of test, several test instruments such as a bit error ratio tester, digital sampling oscilloscope, optical reference transmitter and tunable laser source are required to operate together to achieve a compliant, repeatable optical stressed eye. This stressed eye is then fed to the receiver under test, where bit error ratio is measured under the stress conditions as defined in the standard. 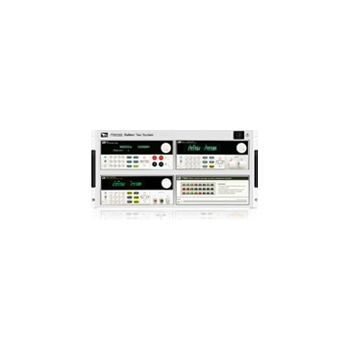 Phase Sequence Tester has a 40 to 600-Volt rated range for testing phase orientation of 3-phase power sources over a 15 to 400Hz frequency range. Multiline graphical LCD indicates phase orientation (clockwise or counter-clockwise) and whether each of the phases is live. No battery required. Comes complete with cable, three large color coded alligator clips, and pouch case. Phase sequence meter is used for detecting the sequence of the supply in three-phase electric circuits. Since the direction of rotation of three phase electric motors can be changed by changing the phase sequence of supply. And also the correct operation of measuring instruments like 3 phase energy meter and automatic control of devices also depend on the phase sequence. 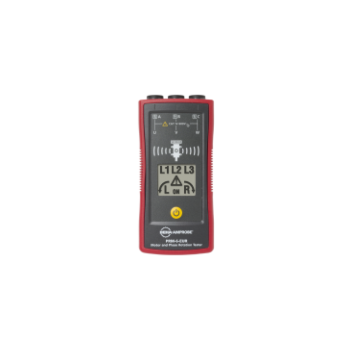 Different types of phase sequence testers are available in today’s market like contact or non contact, static or rotating, etc., in a wide range of voltage or power ratings. As an example, battery boxes can be tested for faults by placing the box on a metal plate. By applying a test voltage to an electrode inside the box, the moulding can be checked thoroughly, particularly at the injection points and any faults found. A battery powered PD or PHD Pinhole Detector can be used to perform the tests manually but a mains powered DCCT is more suitable if the process is to be automated into a production line. 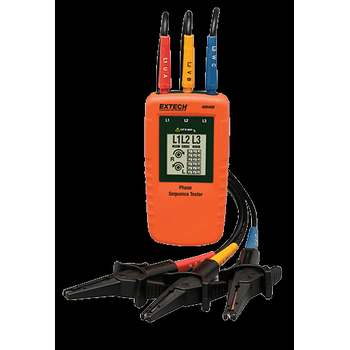 AC Spark Testers can also be used when higher test voltages are required. 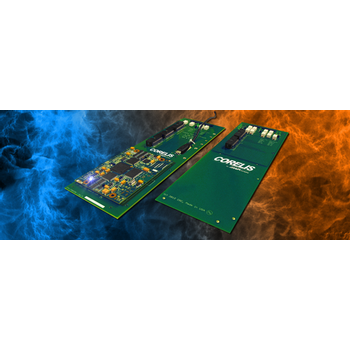 The Corelis QuadTAP/CFM high-speed multi-TAP boundary-scan system makes advanced, multi-TAP boundary-scan testing within ICT systems a reality. By combining ICT and boundary-scan, test engineers gain benefits from both technologies for the highest possible test coverage, speed, and capability.Specifically designed for integration into Teradyne TestStation and GR228x testers, the QuadTAP/CFM and QuadTAP/CFM Expander enable a clean, convenient multi-TAP boundary-scan solution. 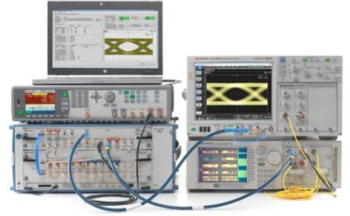 Tester for generating, capturing and troubleshooting 5G Fronthaul traffic. 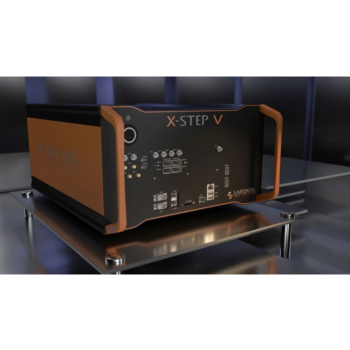 Sarokal´s X-STEP V has been designed to address the testing challenges that new 5G Fronthaul protocol variants and increasing line rates bring to base station manufacturers and equipment vendors. X-STEP V supports line data rates up to 25Gb with multiple lines. It is also compatible with the current DRTx platform.